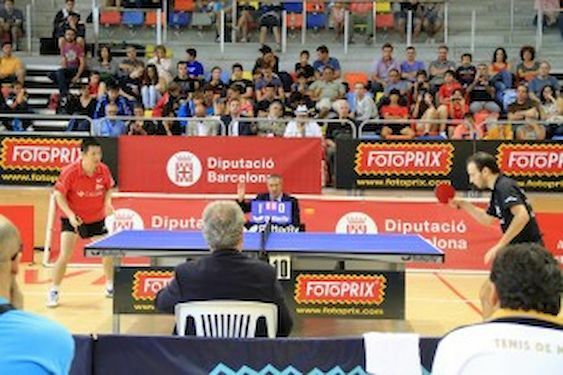 28th International Open Vic – 9th International Open Vic Adapted (Vic-Barcelona, Spain) was held last weekend. The winner in men’s singles category is Carlos MACHADO of Portugal. In the final, in front of 600 spectators, MACHADO overcame WEI Dong Shi of China 3:2. Third position won Admir DURANSPAHIC of Bosnia and Herzegovina and Diogo dos Santos PINHO of Portugal. In Women’s Singles Event WANG Zhipei of China overcame Matilda EKHOLM of Sweden by narrow margin 3:2. Nora ESCARTÍN of Spain and Clàudia CAYMEL also of Spain split third position.